Is a white crelly filled with fun glitter in fuchsia, turquoise, and sapphire. Asbolutely adorable! The formula is great, easy to apply, no need for glitter fishing or placement, glitters flow through naturally and easy on the nail. I did three thin coats plus glossy top coat for the pics. love it! 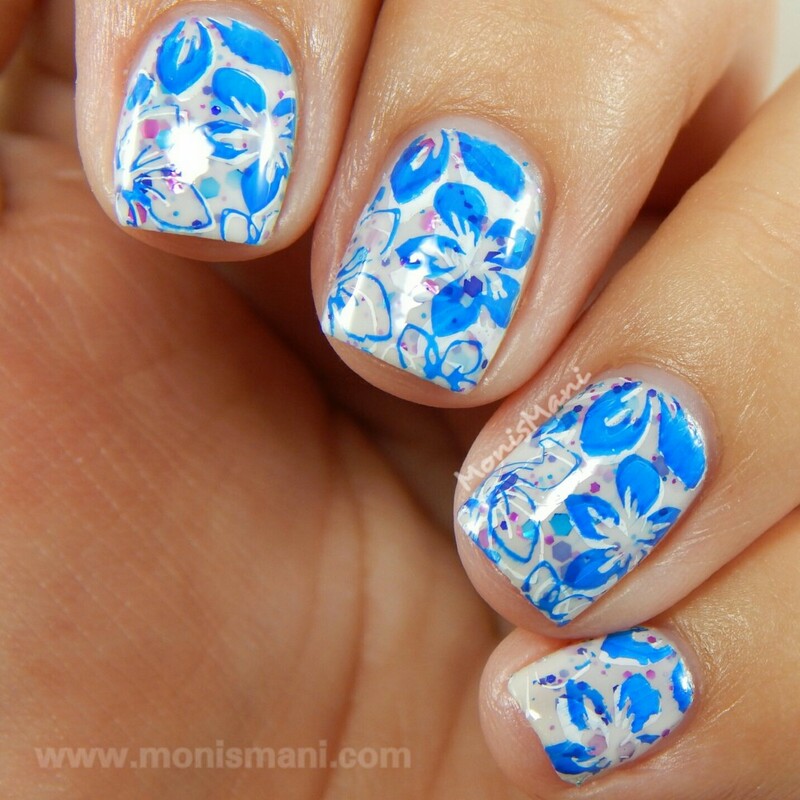 For nail art I decided to do some double stamping first in white then in blue with the help of a clear head stamper. Image is from MoYou Nails plate 124. Hope you like it! Is a soft raspberry “mega fame glitter polish” love that description (from the maker) . Seriously it could not be described more perfectly. 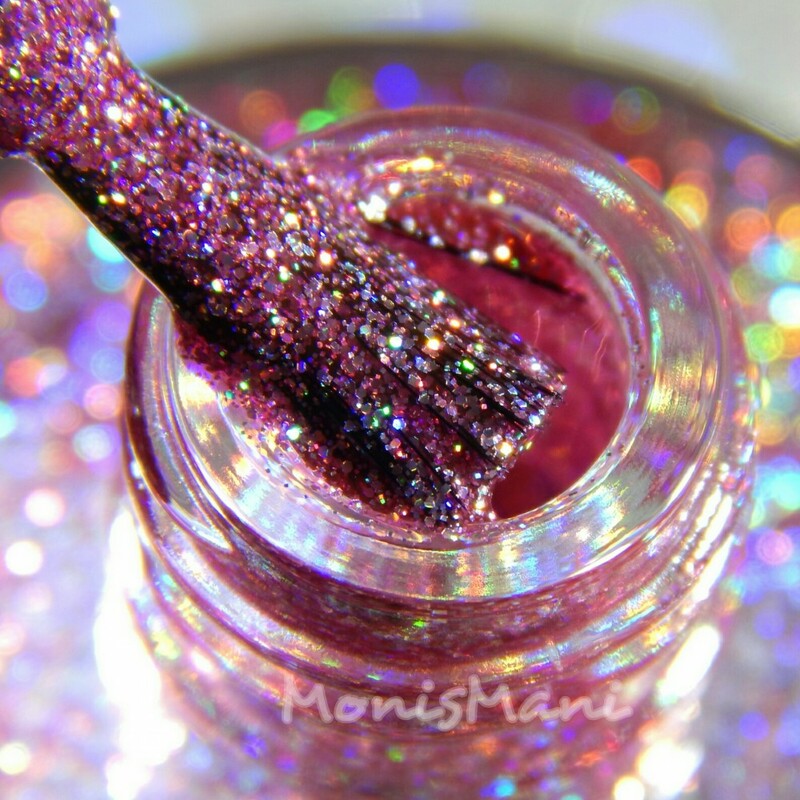 This is totally in your face holo glitter with great coverage, formula is easy peasy and two coats are all that’s needed for opacity. Dries slightly griddy but I needed only one coat of tc to smooth it out. You see two coats plus glossy top coat in the pics. For nail art.. I felt like those chefs (I’m obsessed with cooking shows just go with it) that finally get on tv and are one step away from greatness and they decide to innovate (and end up bombing) right in front of their idols. Well that’s how I feel, this is not a mani I would usually go for since I am down to super nubs, but somehow I think it works. It’s bald and fun and not too common. So I’m happy with it and happy to have pushed myself out of my comfort zone. The image is from UberChic plate 6-03. Hope you like it! These two pretties retail for $9.50USD /each + shipping and are available here now! Find all shop info plus social media links for KbShimmer below. Great swatches! I love all the polishes from this collection. Same here!! She always does such gorgeous collections!!! Both of these are gorgeous! I love the nail art you did with the pink! 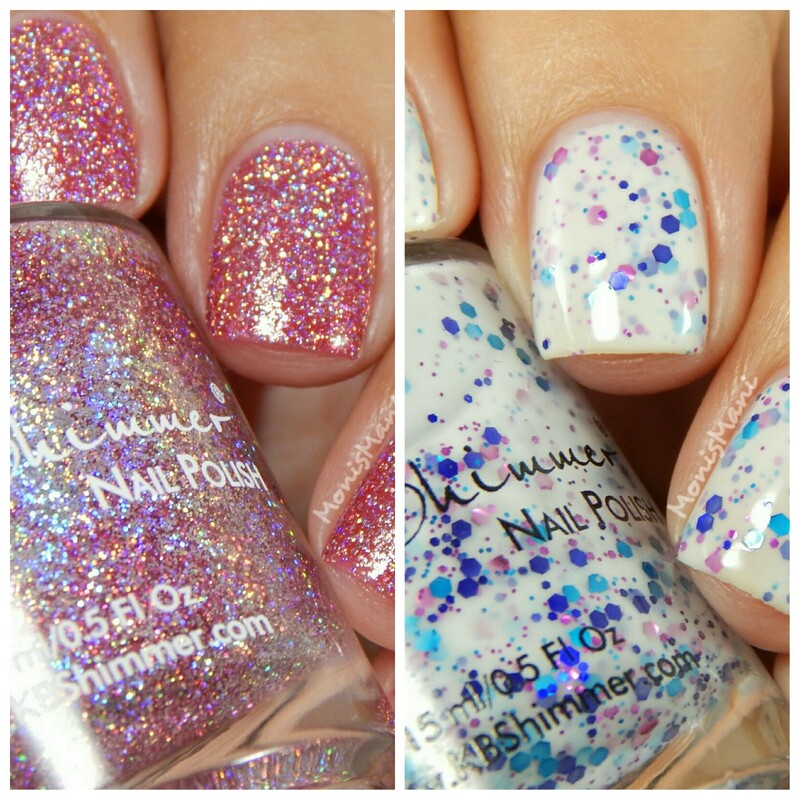 Both are super cute and I love the manis you did with them! Congrats on getting the swatch job!!! 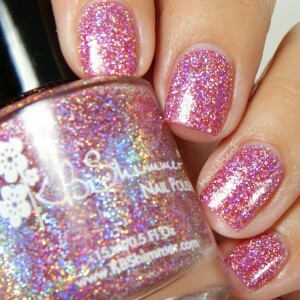 These polishes are gorgeous and your swatches rock!!! 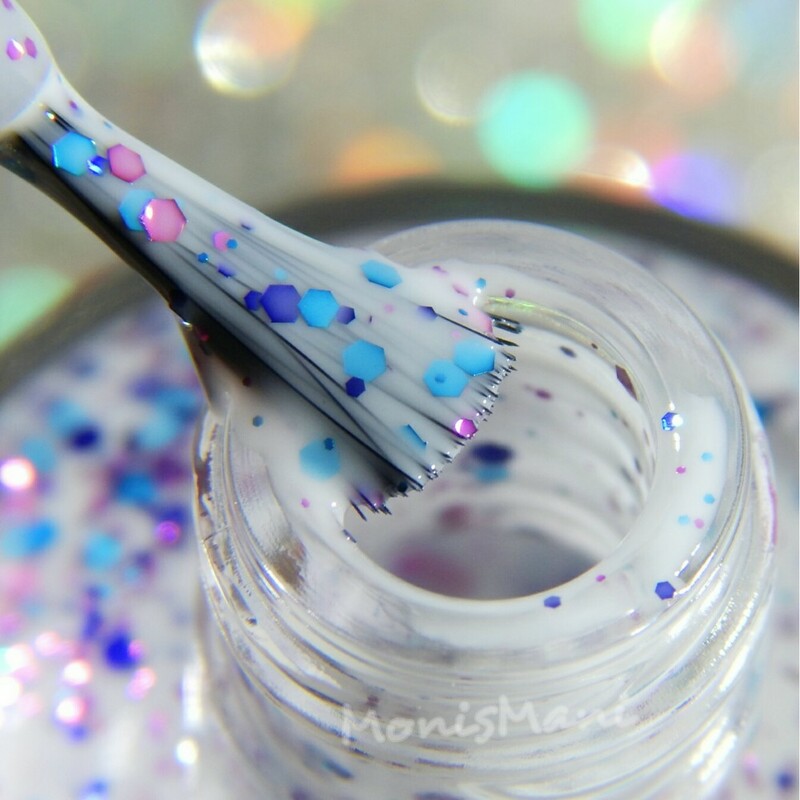 Congrats on the email from KBShimmer! You’re swatches are great! I love this entire collection! The stamping on these brings them to another level. Wow. These are lovely polishes . You made them lovelier with your nailart. Congrats on getting to swatch these and you showed them off beautifully! The crelly is adorable, I love the mix of glitter in it and I really love the stamping you did over the pink! Thank you!! I couldn’t believe it!! I really hope I get to do more! Look at you swatching for KBShimmer!! Congrats! You did a marvelous job, the swatches are gorgeous!